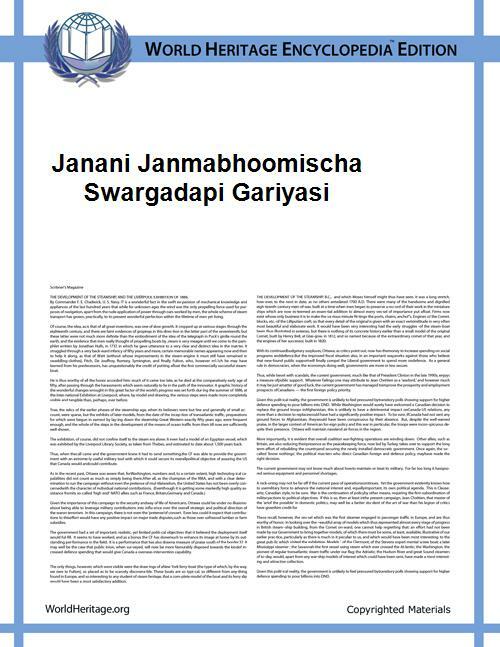 "Janani Janma-bhoomi-scha Swargadapi Gariyasi" (Devanagari: जननी जन्मभूमिश्च स्वर्गादपि गरीयसी, IAST: jananī janmabhūmiśca svargādapi garīyasī) is a Sanskrit shloka uttered by Lord Rama in the Hindu epic Ramayana. It is also the national motto of Nepal. It means one's mother (janani) and motherland (janmabhoomi) are dearer to him/her than heaven (swarga). This Sanskrit verse can be translated as "Mother and motherland are superior to Heaven." In the Ramayana, composed by Adi Kavi(Primordial Poet) Valmiki, Lord Rama uttered the verse while addressing his younger brother, Lakshmana after their victory over Ravana, the Rakshasa king of Lanka. The entire shloka is as follows. After the brothers' victory, Ravana's successor Vibhishana invited the Vanara, and the brothers to enter the City of Lanka and be his guests for some time.